Where Can I Buy Your Artificial Turf Infill? Folks have been using Envirofill for sports fields, dog parks, putting greens, backyards, tennis courts and more for over 10 years. We have been delivering Envirofill around the world a couple different ways… For landscape projects we sell through a nationwide distribution network. For sports projects which are much larger and complex, we work directly with sports turf contractors. 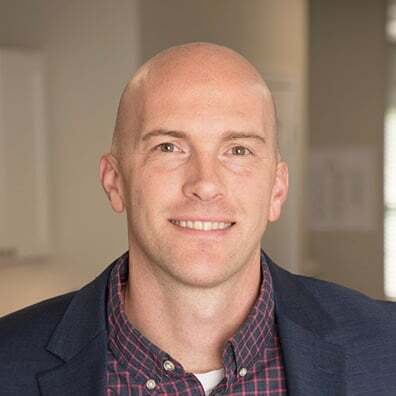 This post is to help answer some of the more daunting questions. Looking to install infill in your back yard? Small recreational area? Dog run? For your business’s landscaping? You will need to purchase through our distribution network. We have distributors that sell 50lb bags of the product directly to you and arrange delivery. If our distributors are not close enough for you to pick up Envirofill directly, most will ship directly to you from one of our warehouses or their own. Need to find where you can purpose Envirofill? Fill out this form and we can send you some recommendations in your area! 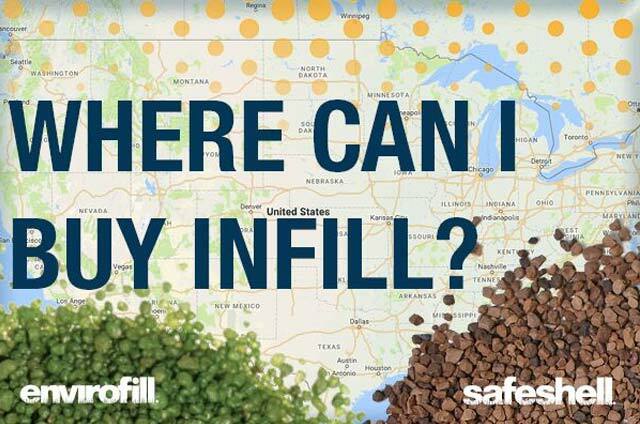 To access our "Where to Find Envirofill" map, click here. Still need to buy turf for your project? Many of our distributors sell turf and also install it. You can go to them for a one-stop shop. Our distributor locations vary, so please fill out this form or give us a call to be directed to the one that will best fit your project’s needs. 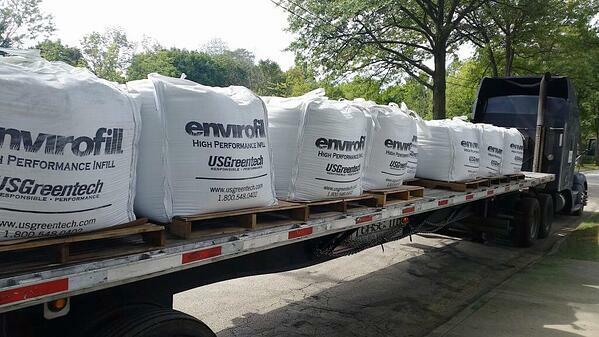 Envirofill super sacks arriving on a project job site. Looking to install infill in a full-sized synthetic turf field? You will need to speak with one of our Sports System Consultants! This order would come in large super sacks holding 3,000lbs each and arriving via multiple freight trucks to the project site. Please contact us here if this sounds like you! What about our Safeshell product for landscape projects? Safeshell comes in super sacks and 25lb bags. If you are interested in Safeshell for a full-sized sports field, you should contact our Sports team. If you are interested in Safeshell for something smaller, please reach out to us here. The natural soil/grass must be removed to a depth of approx. 3-5” depending on your climate and soil type. In most cases border/edging materials will be staked around the perimeter to frame in the lawn area and create a clean division between the lawn and planter beds or adjacent surfacing. Laying down a weed barrier may be required for lawns that have been susceptible to invasive weed species. A 2-4” layer of crushed, drainage rock that is compacted will be laid and serve as the foundation directly under the artificial grass product. The turf is then rolled out, precisely and custom cut to fit the dimensions of the lawn. There will likely be multiple seams which are either glued or stapled (both recommended) to ensure no ruptures occur during active use of the area by pets, kids or entertaining. The artificial turf will have a natural direction to the grain which will dictate the finished appearance. You should make your suggestion beforehand with your contractor. Finally, and potentially the most important stage, is the infilling process. All exterior artificial turf installations should be top dressed with a layer of infill material such as Envirofill. The infill will create additional ballast over the area, support and stand the grass blades vertical and prevent premature wear, cover the primary backing of the turf and inhibit UV degradation and provide additional cushion. Envirofill also has special anti-microbial properties that help prevent mold, mildew and odors caused by naturally occurring bacteria, which is why it’s excellent for pets. The infill is then powerbroomed into the fibers of the artificial turf and settles into the lower half or the blade profile so you are seeing lush grass blades and not the infill. As you can see, there are many variables that will dictate the overall cost of the project such as turf type, region, prep work required, size of your area, etc, but generally speaking you should expect to pay anywhere between $7-$16 per square foot. Specialty application such as putting greens, bocce courts or tennis courts could be more. If you need any further assistance with your project from selecting materials, system design or a recommendation for an installer, please reach out here. What Are My Artificial Turf Infill Options?